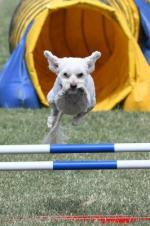 Our Maltese "Whenwyhtes" High Flyer is known as Daisy. We were looking for pretty female dog names and we choose her name because she was a real ugly ducking when she was born but we knew that she would also grow into a real beauty! That she did! My favorite flowers are namaqualand daisies so it seemed the appropriate name. Daisy is now 10 going on 11 and everyday she shows what a beautiful girl she is with her, teddybear build, playfulness and big eyes ! Still as playful as ever and always enjoys a mad half hour. She'd had some health problems but with her beautiful temperent she takes visits to the vet like a duck to water. 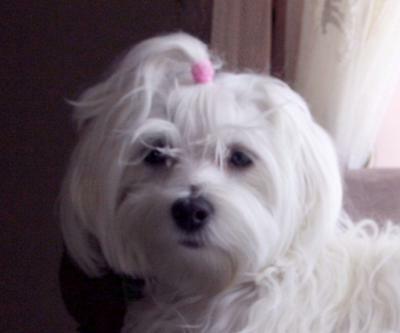 I was looking for female dog names for my Maltese and chose this name because I really like flowers, especially the Lily. Also, when I called her Lily something just clicked... She liked that name and so did I. Thank you! I am honored as that is my name. It is actually LILLIAN as I am named after my mom. I do prefer Lily now. I owned a male Maltese (Harrison, after Harrison Ford) for nine years. He has passed. 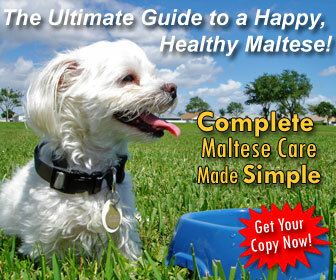 In the future I would like to adopt a male and female Maltese into my family. Thanks so much! 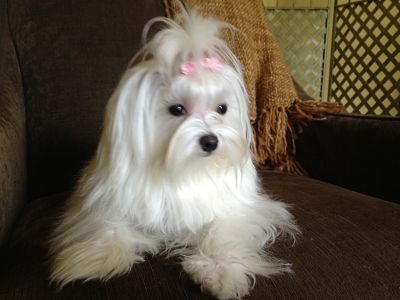 I was having such a hard time finding a name for my maltese but now, I have decided to name my maltese Lily. Thanks! That's a really good name! 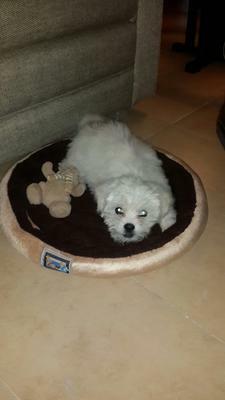 I'm going to call my new female maltese Lily! Thanks for your help! I was looking for good female dog names and I have always liked the name Annistacia. We call her Anni for short. She really fits her name too. 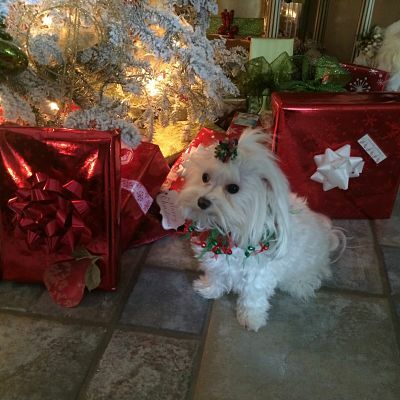 I chose this female dog name for my Maltese puppy because it fits her so much she loves to be dressed up and be in her bows she is totally about fashion I would say so I chose the name after Paris Hilton. I choose this dog name because China is a tiny fragile female. She has a cute pixie face. She is so afraid of everything and her body just shakes with fear. Did Santa Come To See Me Too? Since we are big fans of Texas A&M Univ., where its students and alumni are referred to as "Aggies" & the campus at College Station, TX is known as "Aggieland", we could not resist naming our baby Maltese "Aggie". Aggie was born 11/9/2013 and her AKC registered name is: "Fancy's Little Texas Aggie Girl". 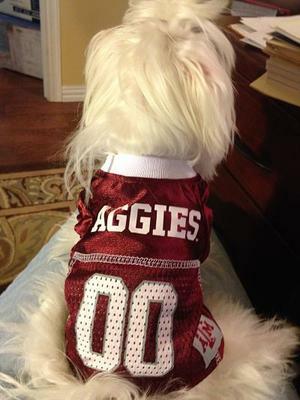 Our little Aggie girl wears her Texas A&M jersey for every televised football game and barks whenever HER team makes a touchdown (just kidding). Aggie gets my vote for " pampered Princess". She's adorable!!! 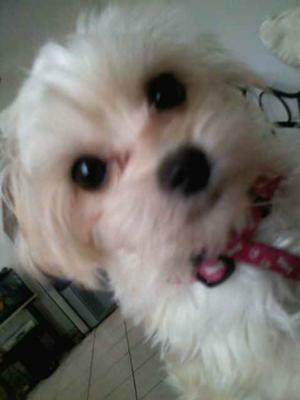 We needed another female dog name so we named our second Maltese TSheyka. She is the full blood baby sis of our first one and it means "carbon copy". It is easy to pronounce, and although I am from Norway, I bought my Maltese puppy in Pakistan (where I currently work) - and in Urdu, Bali is a "fun name" as it refers to his size and cuteness. How sweet! Love the name, short and sweet! 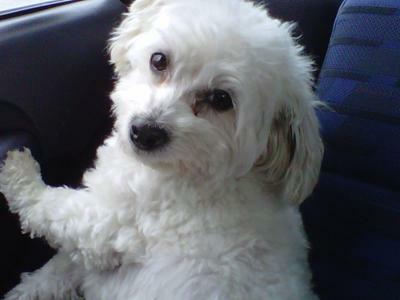 This is how I choose from all the Female dog mames for my Maltipoo: When I first moved to Florida I was in kindergarten and no one would talk to me except for this really shy girl who looked sorta sad sometimes. I really didn't know why she seemed that way, but I never forgot her and I had a lot of trouble thinking of a name. 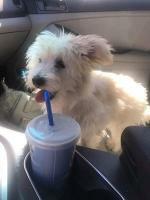 So I thought of April and that's what I stuck with for my little Maltipoo. Why don't you try the name Millie. I think that name is really cute! 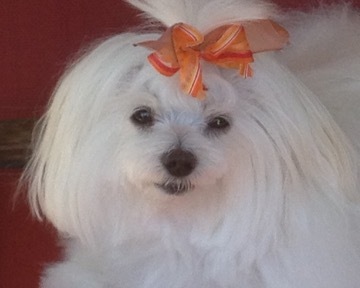 My Maltese is as cute as a new blossom as the trees bloom in spring and as white and delicate. I was looking for female dog names that would match her personality and Blossom is it! I had a Maltese. Her name was Cindy-Joy. She was such a Joy to me. She was unfortunately shot dead in December 2011 by some jealous person. I paid R 500 for her, but she was more worth than that R 500. She was my 2 nd shadow. She hated it when I went to work in the morning, but ate me up when I came from work. She was very very clever. She loved to play with the high bouncing balls. Even the soft foam balls that cats usually played with, - she could get two of these balls in her mouth. I adored her, and she adored me. 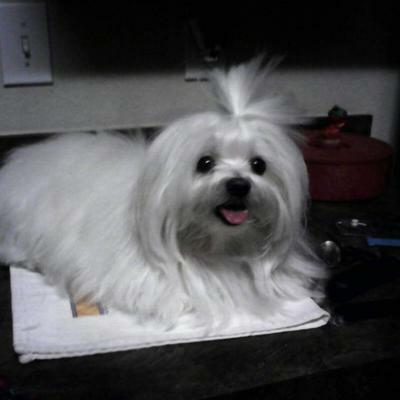 I am going to get another Maltese, and her name will be Nikita. I've got a Pomeranian - a very very cute dog - her name is Misty. I am totally lost and lonely without a four pawed child. Can't live without them. 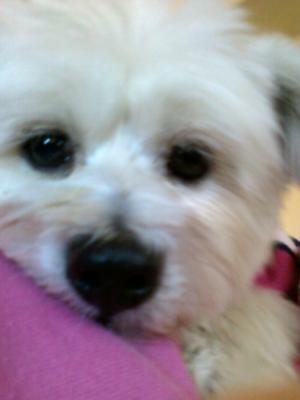 My little Maltese Shih Tzu mix dog was an out-of-the-blue gift. For all of my life, I wanted a Maltese. Unfortunately, my parents are cat lovers. So when my mom announced we were getting a dog I hopped in the car with a pen and paper writing down names for my new "baby sister". A few female dog names were silly names like "Pumpkin" and "Munchkin" and "Lolipop" but others were tough and mean like "Crusher" and "Nibbles". (I know Nibbles isn't that mean, but c'mon I'd be scared of a wrestler called Nibbles!) But I also had names like "Millie" and "Lola" and "Caitlyn". When my new "baby sister" and us got home after going to a pet store and buying supplies (we got her from a breeder) we sat down and observed her personality. Her personality was mostly nibbling things and just staring at us and cuddling. The name choose was between Millie and Nibbles. Our family lifestyle isn't rough, and Nibbles didn't suit our dog's cute little face, so Millie was her decided name. I was looking for female dog names. Because she wasn't as tailored as I thought the name Sadie needed... But Gracie means blessing and she comes to me as a blessing and answer to my prayer and she totally is the most perfect companion and dog. Beautiful baby girl, and what a cute idea for a girl name. I love that name and either name would've been wonderful. 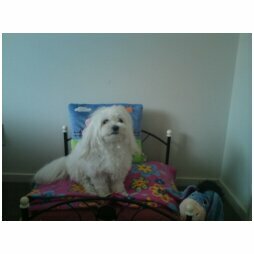 I have a boy Maltese named Rockey we spelt it dif. because he's sucha cutie! Hope you love her. But don't forget they have a screechy voice. That's a wonderful name. We named Bogger cause when he gitts all exsided like go walk or go to the park or go for a ride in the car. He wags his tail, jumps up and down, and dose his little dance, he some times makes this littel snort sound. He is the best dog and so loveable. Yes,my baby girl is named after the original King of Rock'n'Roll, Elvis Presley. My husband and I have always been a fan and what better way to pay homage than to name our little Queen after him. has the sweetest disposition along with a few 'charming' idiosyncrasies. We have had dogs all our life, big ones to miniature ones but Presley is the most special baby of all. I call her my gift from God and jokingly say she's a cut from Jesus cloth. There is nothing more precious than her sweet little face looking up at me as if to say, "thank you mama, I love you" after scratching her itch or just petting her head. She'll then place her little paws on my cheeks while giving me kisses that just melt my heart. The more I baby-talk, the more kisses I get. And I talk to her all day long. Presley loves to hear baby-talk and knows it's always about her. Her ears will perk and tail wag from a dead sleep. Some days I talk to her more than my husband (due to his schedule)! Presley may show her girlie foo-foo side by strutting around after grooming and primping, but later sports her playful tomboy side romping around with her nose in the dirt inspecting a bug. Presley was 8 years old April 22,2015. 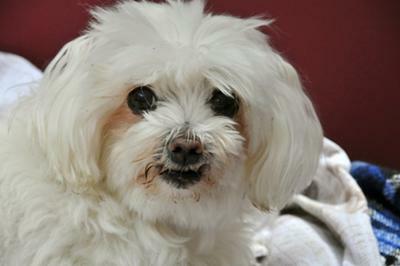 Later in December we discovered she has Rheumatoid Arthritis which is eroding multiple joints in all four limbs. She did not display the seriousness of this disease until recently. Her little face rarely shows discomfort but when it does I'm quick with the pain medicine. I believe God put me on this earth to care for this baby as I'm a disabled RN with the same disease. We have a kindred spirit and comfort eachother while recognizing our limitations. I told you she was smart. Some days she is the reason I breathe. Beautiful baby girl. 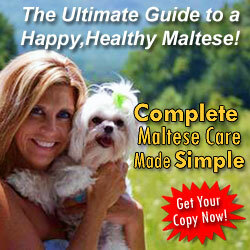 Such a cute name for a Maltese girl. Gets my 5 star vote ! What a little "miss priss" cutie pie !! She definitely is beautiful, and such a cute name! 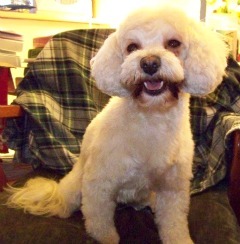 Lexi is very feminine she prances around and loves looking her best. I was looking for cute female dog names and named her Alexis and soon enough it got shortened to "lexi" fits her perfectly! My husband and I picked a female dog name of Whisper because my husband kept saying that she was a WHISP of a thing. So that stuck and we decided that we would make it into WHISPER. She is the most adorable little thing. She is white and has a cute little tail. My dog was born on Christmas day and that's the name I wanted to give her CHRISTMAS. Now two years old, how ever every one said that was too common so I ask my Favorite aunt what about female dog names such as snowy since she was all white and she said NO! She like Ivory Snow so I said yes she looks like a Ivory and so there you have It. and she responds to her name Very well!!!! 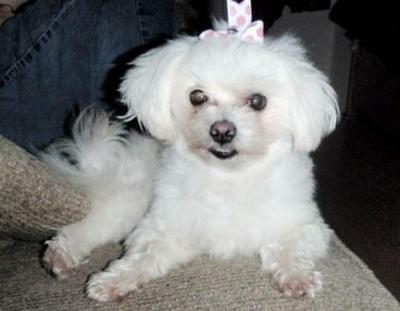 My Malti Poo dog is named Molly, it was between Lucy and Millie, but she looks like a Molly, so it won out!